We take a different approach to our design for your outdoor living space. Whether its a new custom pool, covered patio, pergola, outdoor kitchen or a complete backyard paradise, we look at how your family will actually use the space and design accordingly. Its this simple philosophy that ensures you and your family will enjoy your new custom pool or patio for years to come! 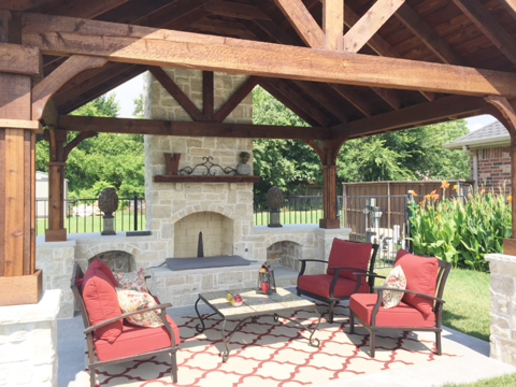 Let us show you why we were voted the best patio builder in Denton County! Getting inspired is the first step to making a dream a reality. We encourage you to begin to plan your patio and or pool project by saving images, magazine clippings, web images, etc of the things you want to incorporate into the pool or patio. Things don’t have to be organized, that’s where we come in. As your pool builder, we take all of your random ideas and likes and incorporate them into a beautiful, functional and pleasing backyard design that you will be proud of. dont just go outside ... live outside! 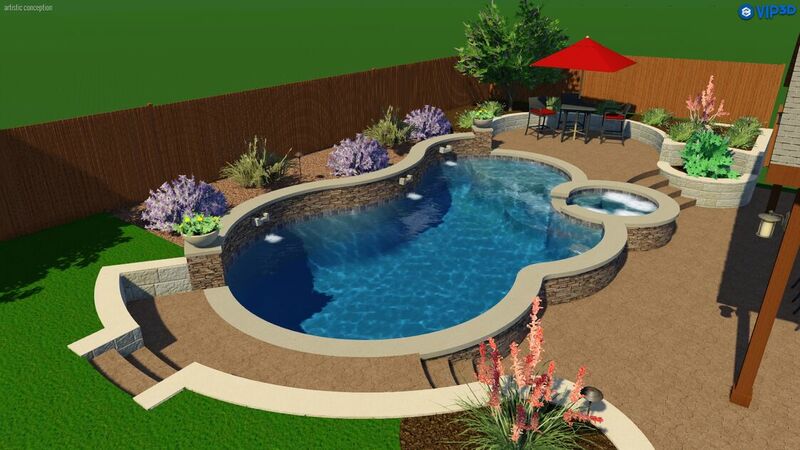 Start designing your dream pool today and be ready for pool season! We are offering special pricing NOW on all custom pools and spas so CALL TODAY to get a free design consultation scheduled! We can build that backyard oasis anywhere in the metroplex including: Frisco, Prosper, McKinney, Parker, Wylie, Plano, Richardson, The Colony, Aubrey, Denton, Corinth, Hickory Creek, Argyle, Highland Village, Flower Mound, Lewisville, Carrollton, Coppell, Southlake, Keller, Grapevine, Colleyville, Westlake, Haslet, Lantana, and all parts in between! What are people saying about Texas Traditions? Texas Traditions did a solid job building our covered patio. We found the pricing to be very fair and the quality of materials stronger than most other companies offered. This was absolutely the best experience we've had with any trade and highly recommend them to those who may be considering outdoor living additions. C ommunication was timely and accurate, and the quality of the work was top notch. It's obvious this company takes great pride in running their business and it's extremely refreshing.